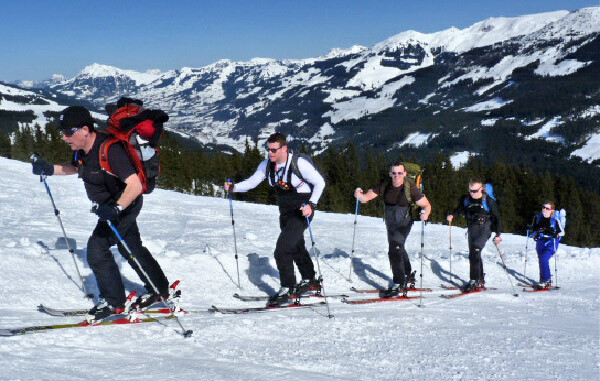 A group from 100 Regt RA(V) consisting of reservists took part in “Ex White Centurion” a Novice Skiing and Touring Expedition to the Mittersill area of Austria. This was a change from our planned location of Zell am Ziller due to circumstances beyond our control. 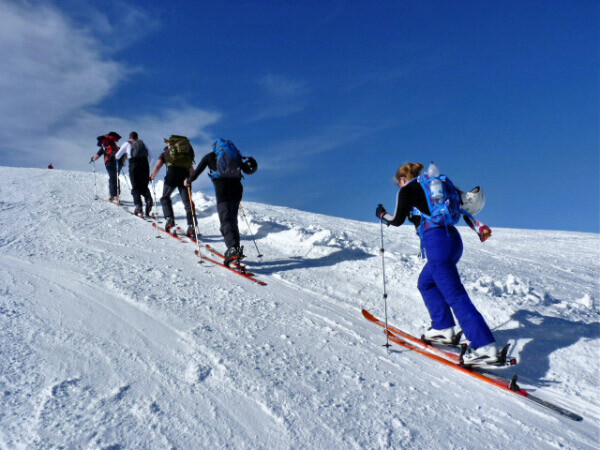 The Exped was based in Mittersill which enabled us to make full use of 668KM of Piste. The expedition had the aim of teaching novices to ski and to introduce Ski Touring for those who had been novices the previous year. After an uneventful 22hr journey from the UK we arrived and settled into our accommodation, followed by the required safety briefs and fitting of equipment to individuals. 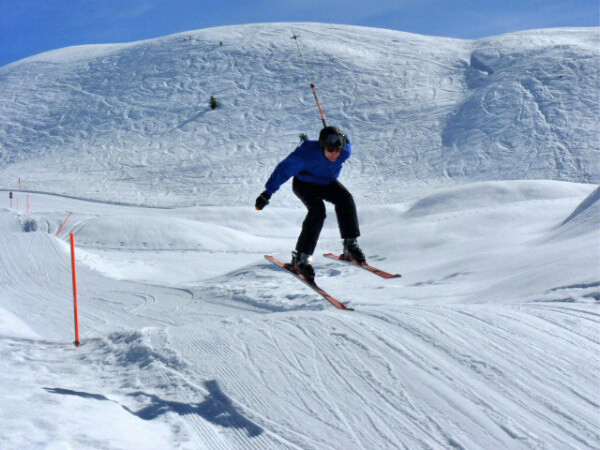 The first days skiing took place in the Mittersill area which proved to be challenging to even those who may have had some skiing experience, but after some careful selection individuals were allocated into groups for the remainder of the week. On the second day those undertaking SF2 which includes Ski Touring headed off to find some more challenging terrain to hone their skills before being introduced to the delights of Ski Touring. The novice skiers remained on the lower slopes to continue with their foundation training on SF1. The highlight of the day was those on SF2 being introduced to the dreaded Hannenkan one of the many world cup runs located in Austria. There were a few tumbles but thankfully no breakages and most enjoyed the experience and provided the talking point at evening meal. By the end of the 2nd day the novices were moving well on their skis and managed to stay upright for at least 80% of the day. Day 3 saw the novices move to the top of the area to much more challenging skiing conditions and deciding that suffering from vertigo does not bode well when you are on skis at 2000m as some found out much to the amusement of the rest of the group. The SF2 had their introduction to Touring and after initial lectures on equipment and correct fitting they headed onto the snow. The fact that they were now walking up the mountain instead of sitting on a chair suddenly dawned on them, however once they got over the shock of seeing the lifts bypass them they all settled into this new venture. The day was spent ascending/descending on and off piste and perfecting the skills required in selecting routes across the snow whilst maintaining speed and direction. Day 4 was going to be the most challenging day of the expedition to date for the SF2 and commenced with an ascent of 2000m from the Thurn Pass to the top of the area. On route this group were introduced to the skill of digging snow holes and using shelters to survive out on the mountain in extreme conditions and weather. Due to the increase in temperature since our arrival they were able to witness up close what happens during an avalanche, thankfully it was not close enough to affect our route but did hoist home the need to carefully select your routes when touring. The novices continued to progress through the training and were now enjoying remaining upright while taking time to fully enjoy the views across the Alps. 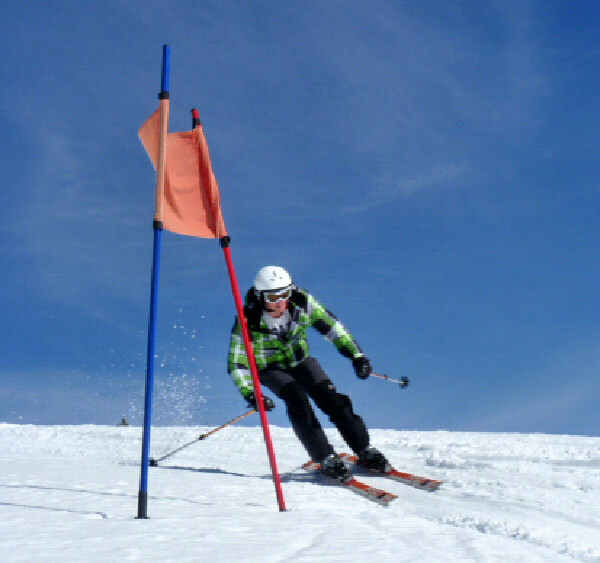 Day 5 was test day with individuals undertaking an assessment and all skiers had to demonstrate that they have attained the required skills to pass the assessment. This assessment was held on the Kitzbuhel area and all but two passed 1st time, however after some additional training and coaching we had a full house and all were awarded either Ski Foundation 1 (SF1) or Ski Foundation 2 (SF2). The last day of the expedition was spent touring as much of the area as we could ski once again pushing the boundaries of individual comfort zones. After what all agreed was a very challenging and rewarding trip we return to the UK already planning our return next year. Bdr Foster gets lots of air – but did he land it?